The best way to protect you and your family from CO poisoning is to get a certified, audible alarm. You will also want to ensure that engineers and boiler installers use approved equipment, such as Flue Gas Analysers (FGAs). Carbon Monoxide alarms provide an audible warning when carbon monoxide is present. They monitor both long-term, low levels of CO and high levels that have built up rapidly. Caution: CO alarms respond only to carbon monoxide; they do not detect smoke, fire or gas leaks. Make sure a CE marking and proof of the EN50291 standard both appear on the packaging and the product. These markings guarantee that the product has been tested and certified to the EN50291 European standard. Audible alarms are designed and tested for use in homes, but most are also portable and suitable for use on holiday—in caravans, boats, holiday homes, and when camping. They are reliable, easy to use, and inexpensive. Some alarms have a digital readout displaying both current and peak CO levels. Current CO alarms typically carry a five- to ten-year guarantee. Look for long-life alarms that do not require annual battery changes. Alarms are readily available from DIY and high street stores, plumbing stores, energy retailers, and gas engineers. Note: COGDEM does not recommend non-audible alarms—often called patches, spots, blobs or visual indicators—because they require constant visual monitoring and will not wake you or alert you with any sound in case of an emergency. Always read the installation and use instructions provided with the alarm, paying special attention to testing and care. See the Guide to Carbon Monoxide for more information. 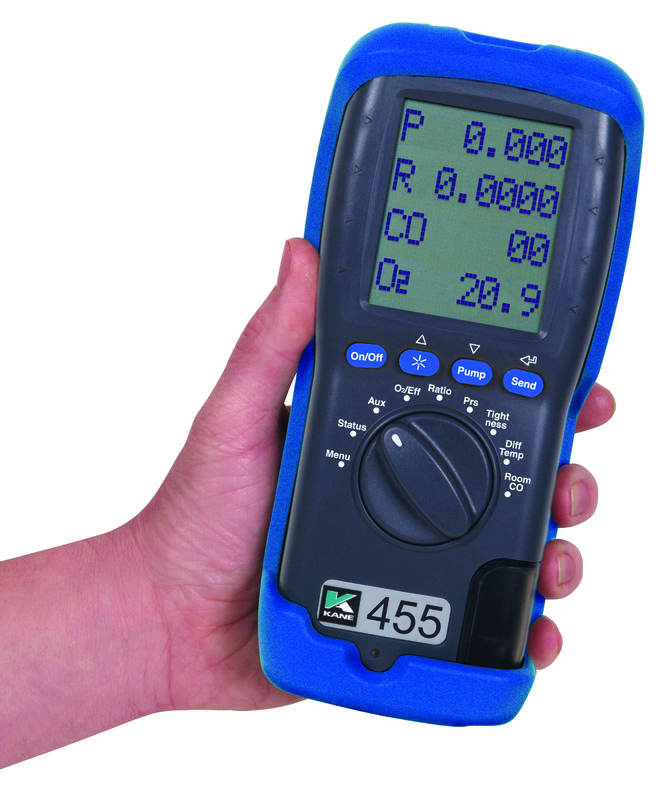 These handheld digital gas analysers check the levels of CO in flues connected to boilers, fires, chimneys, vents, flues, and heaters in and around the home. They can also help to identify the CO source and determine which appliance needs attention. Many FGAs can also check ambient levels of CO throughout your home. FGAs should be part of the equipment of all gas supply company personnel. They are used during boiler installation, annual appliance services, and call outs to suspected CO incidents to identify the CO source. Many analysers can detect multiple gases, and some can provide a printout of CO levels found leaking from an appliance, providing evidence for medical personnel. As with all high precision electronic devises, FGAs must be maintained, calibrated, and serviced to ensure accurate readings. Gas engineers must ensure that the FGAs are regularly serviced and being used within working limitations and conditions. All fuel burning appliances should be checked annually by qualified engineers. Chimneys should be swept each year. Landlords are legally required to ensure that the annual gas safety check is performed. Do not use cooking, heating, and lighting equipment for any purpose other than intended by the manufacturer. Do not block any form of ventilation and ensure adequate ventilation when cooking, or using gas heaters or fires. Be aware of the dangers of CO outside the home, such as improper use of BBQs and generators. Ensure such devices are used in open spaces with natural ventilation. Do not use them as a heating source within the home or in garages, porches, or sheds.